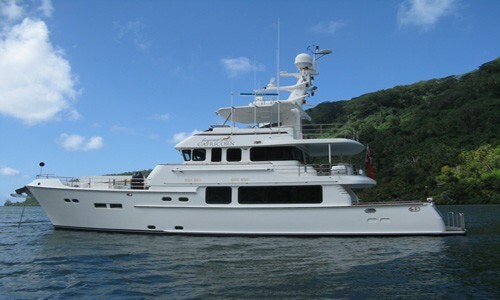 Luxury Motor Yacht BEYOND CAPRICORN was built by Nordhavn in 2007 and measures almost 24m / 78ft. 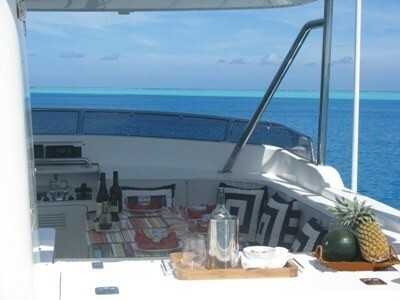 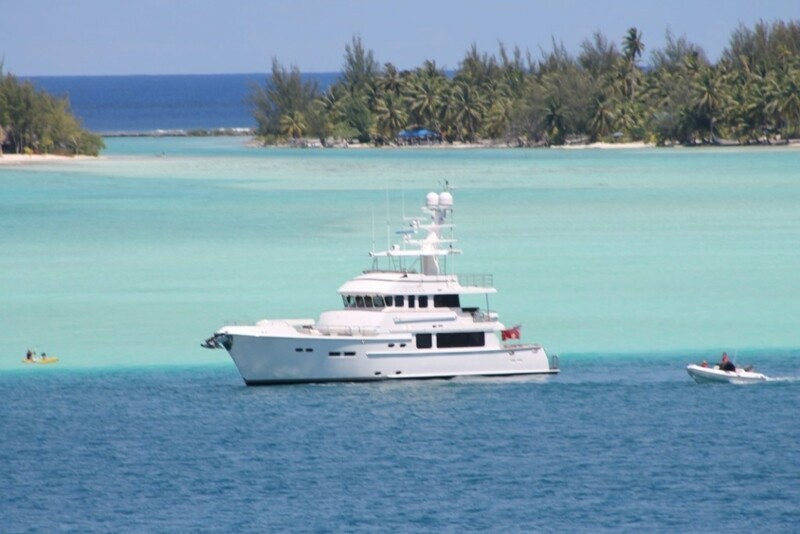 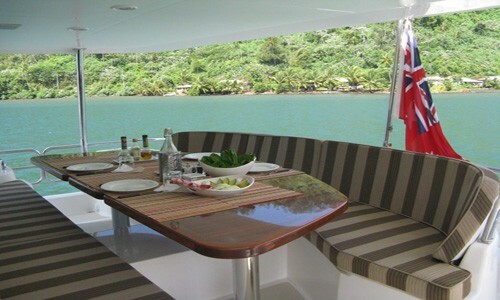 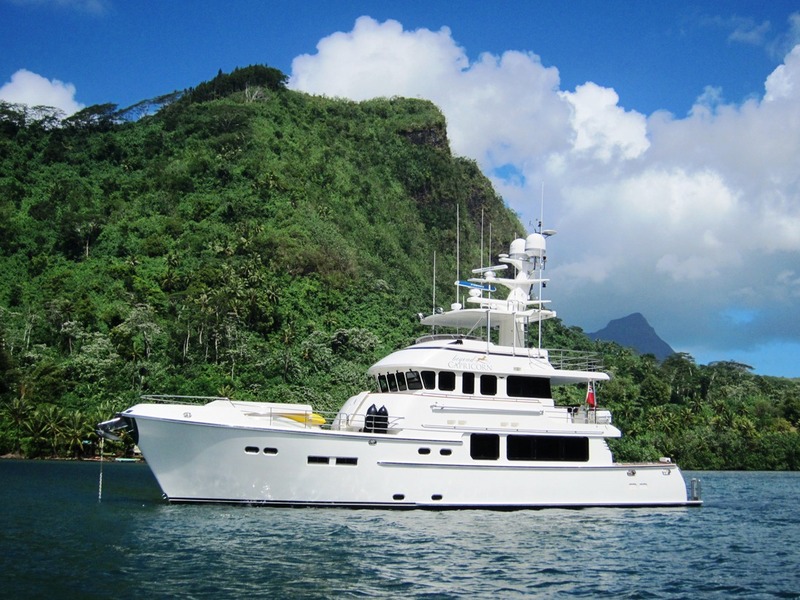 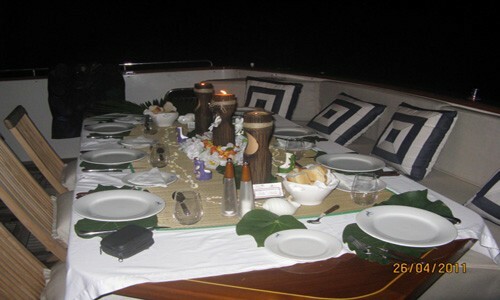 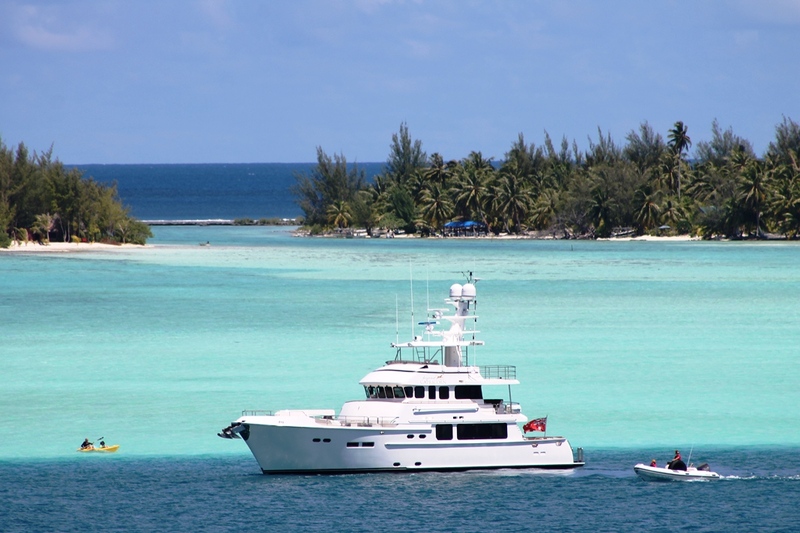 BEYOND CAPRICORN can accommodate 8 guests in 4 cabins and is available for charter in the South Pacific and New Zealand. 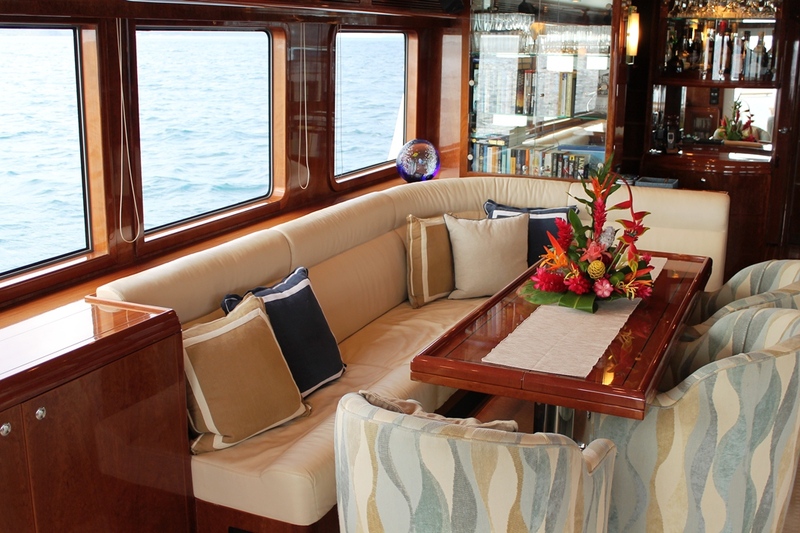 Common spaces include the open plan galley, dining & lounge areas on the main deck as well as 3 exterior decks - main deck, upper deck and fly or sun deck all complete with dining areas. 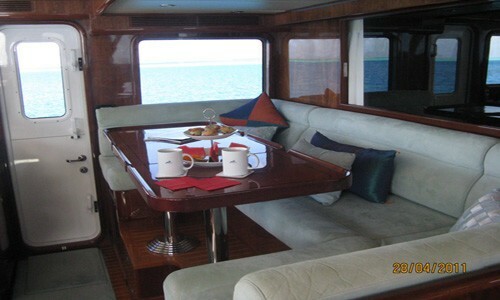 The bridge or wheelhouse is also open for your viewing and participation if desired whilst cruising between anchorages. 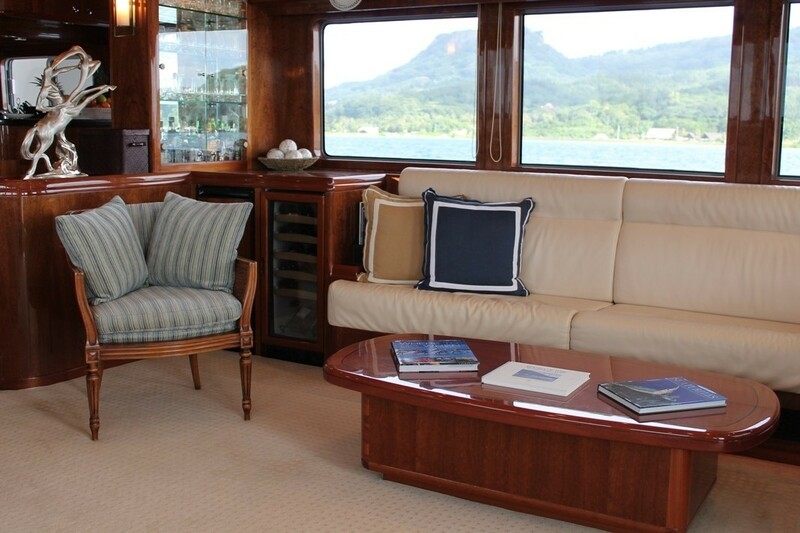 M/Y BEYOND CAPRICORN has a timeless traditional interior; the salon features a large leather settee and additional chairs surrounding a cocktail table, on the port side the formal dining space has another leather settee and additional seating, while the entire area offers large windows allowing for plenty of natural light and great views. 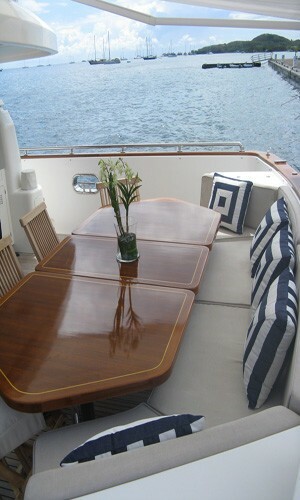 Upstairs the pilot house offers a breakfast nook and a rare Captains bird’s eye view. 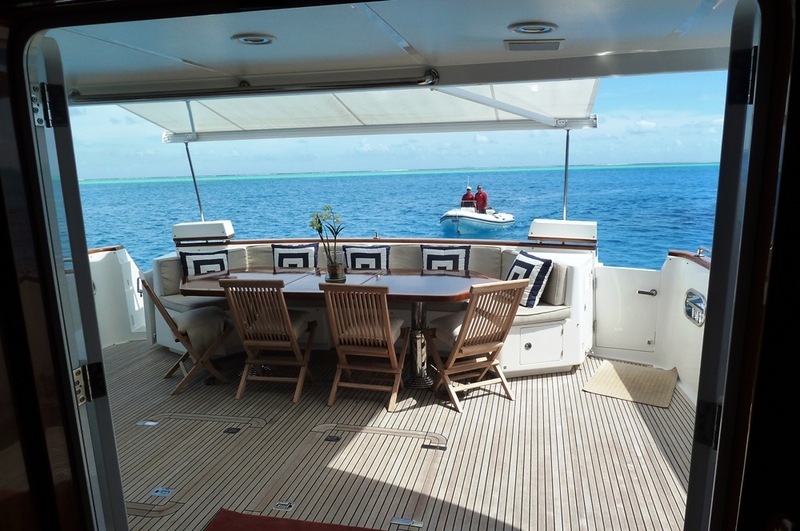 Motor Yacht BEYOND CAPRICORN has ample deck space for guests to enjoy and relax, the main deck boats the first of 3 al fresco dining options, above the main deck the pilot house deck offers alfresco dining aft, very much the same as the main deck but with a better view point. 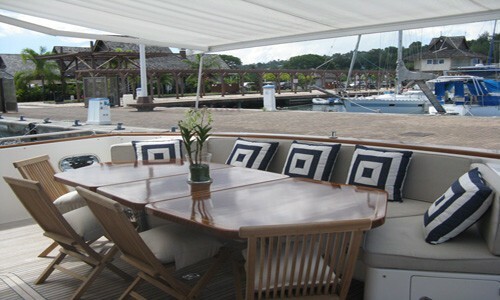 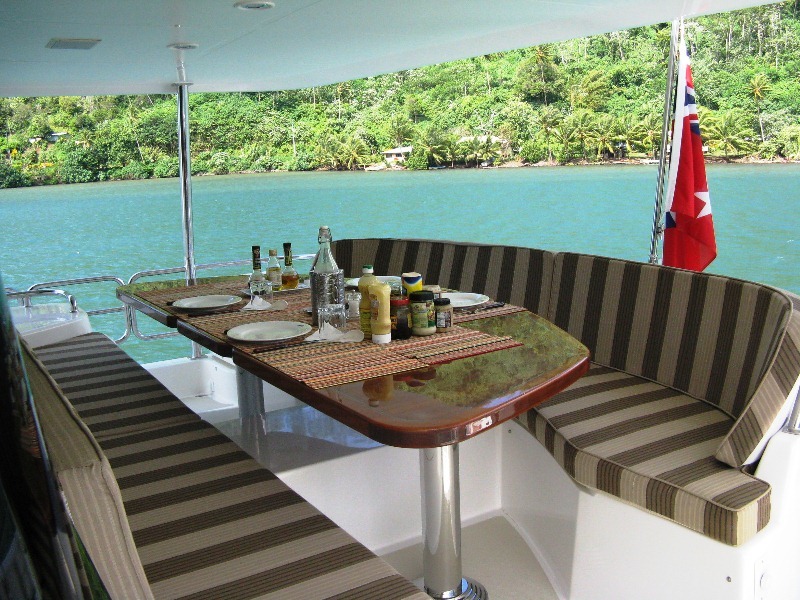 The top deck features a generous sundeck with sunpads and includes the fly bridge helm and a perfect alfresco breakfast, lunch or cocktail table. 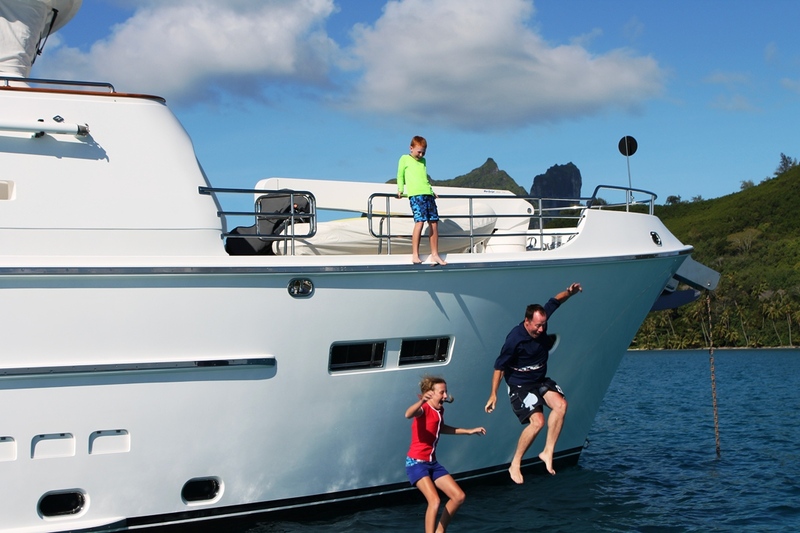 The charter Yacht BEYOND CAPRICORN offers a 17ft Caribe Tender with Yamaha 115hp, 14ft Caribe with Yamaha , Double Kayak, Scuba gear, Snorkeling Gear, Inflatable Tube, 4x Folding Bikes, Paddle boards. 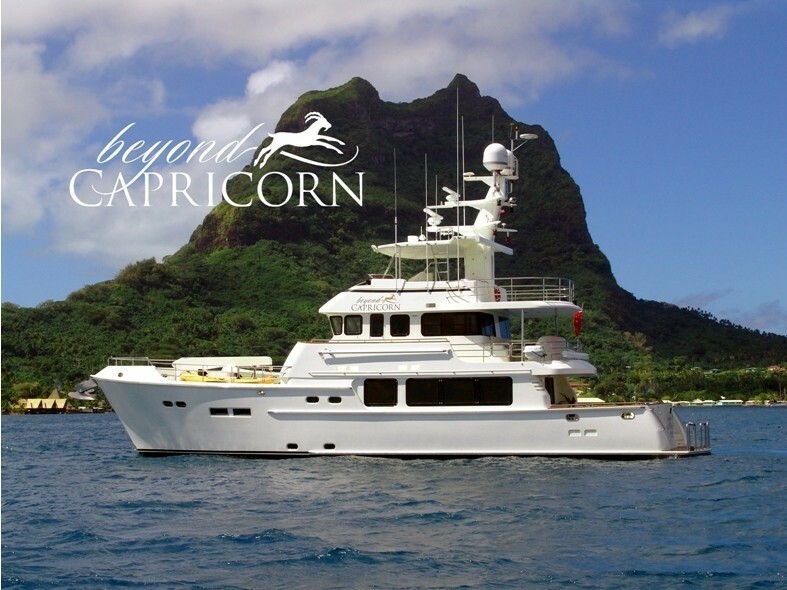 Luxury Yacht BEYOND CAPRICORN has a beam of 6.4 meters (21ft) and a draft of 2.34 meters (7.7ft), she cruises at speeds of 9 knots with maximum speeds of 12 knots. 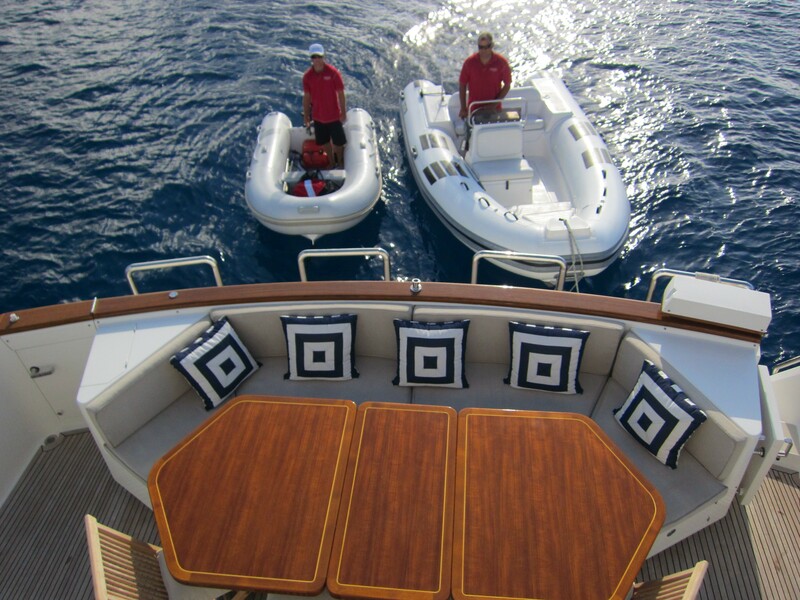 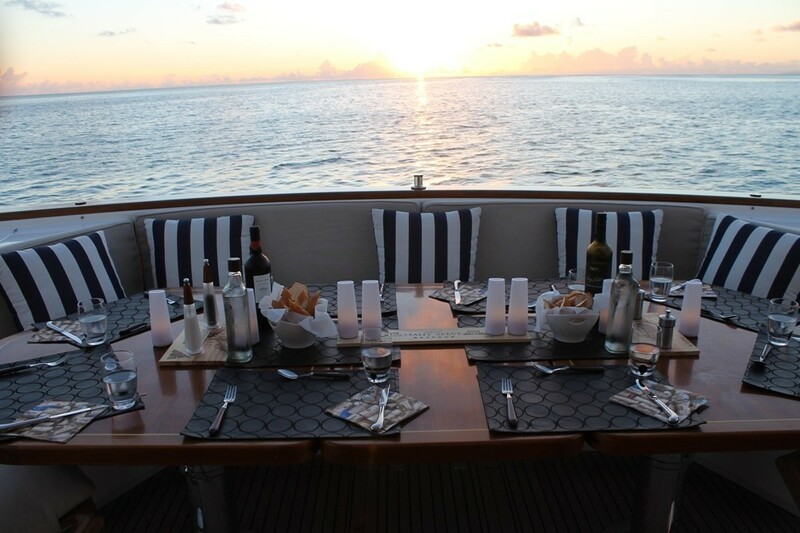 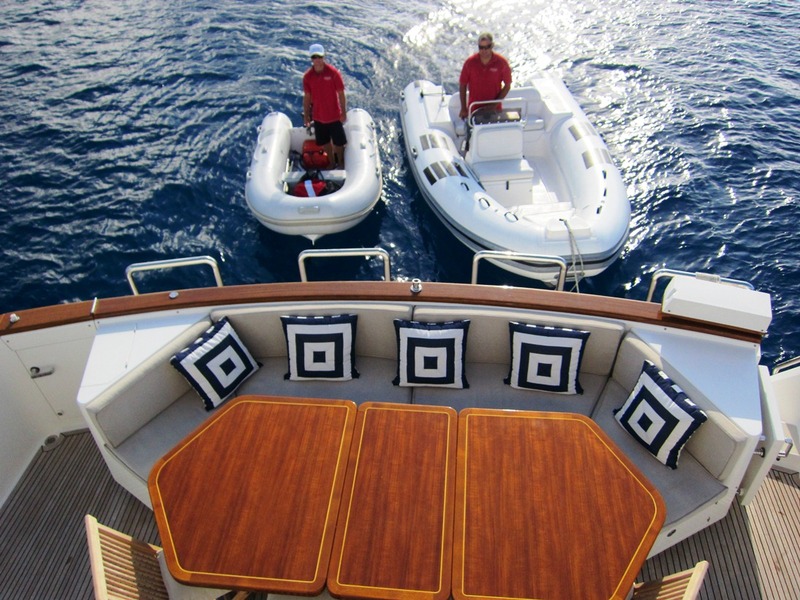 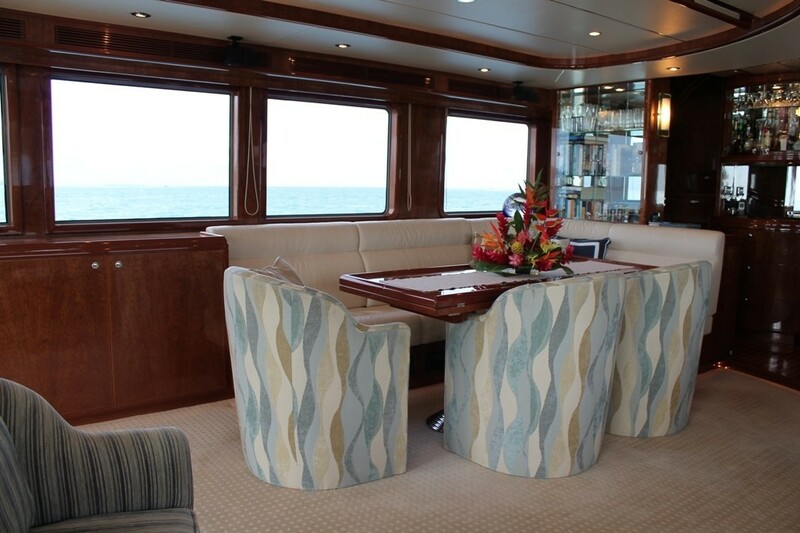 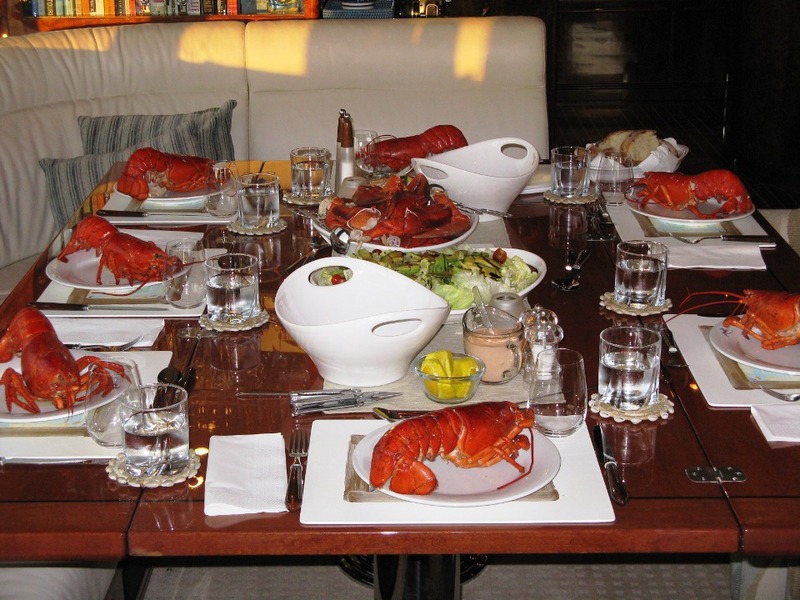 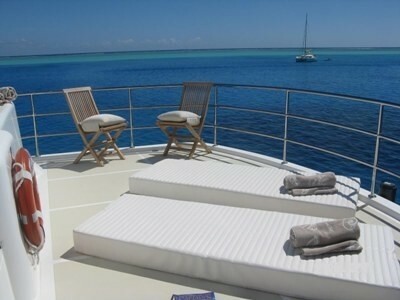 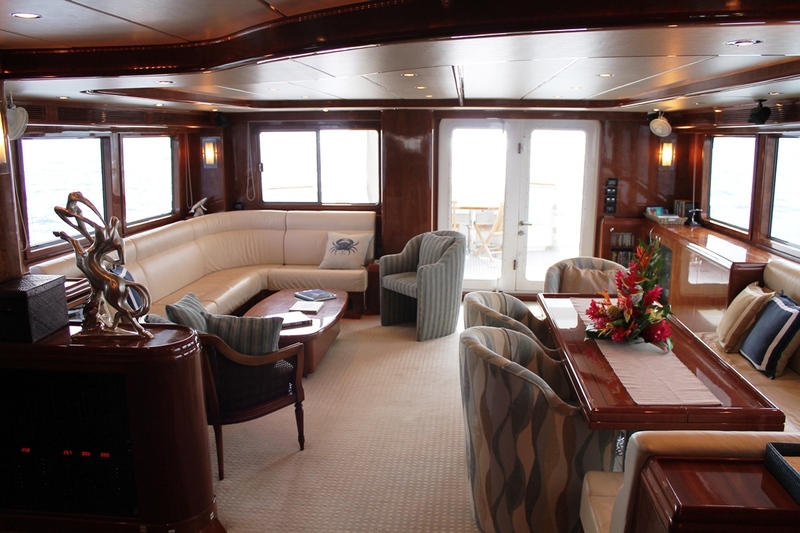 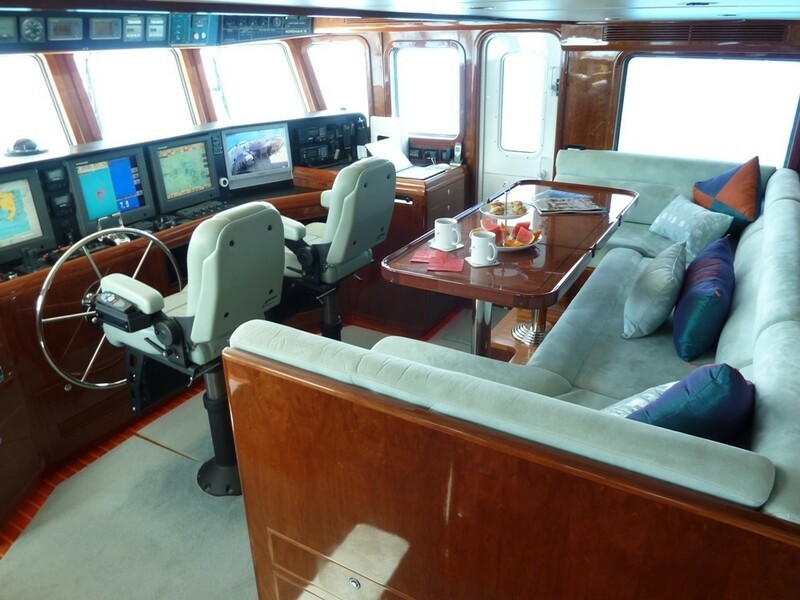 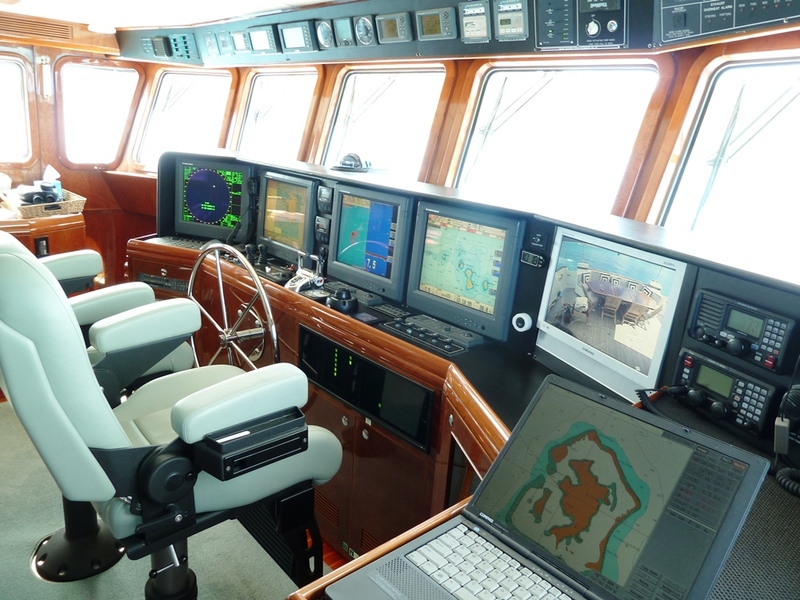 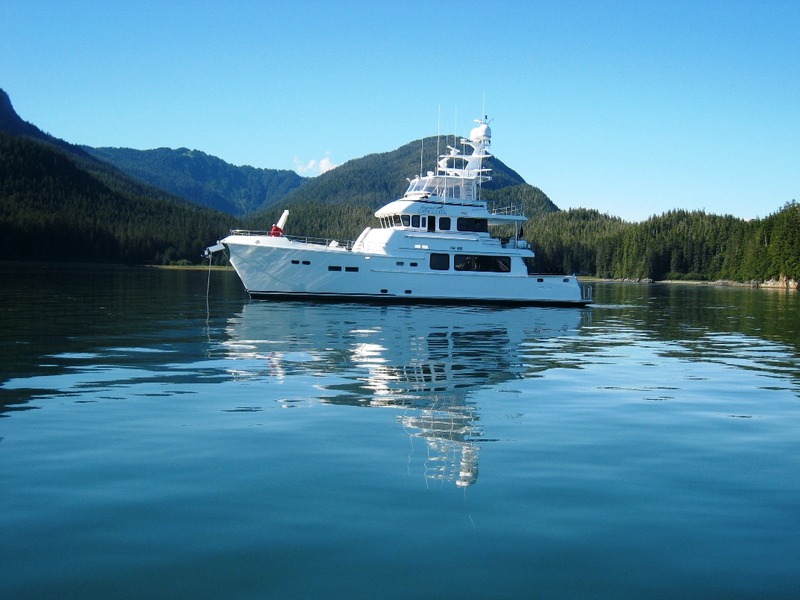 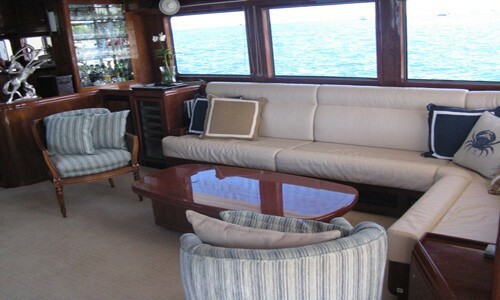 The BEYOND CAPRICORN motor yacht is able to accommodate up to 8 guests in 4 cabins. 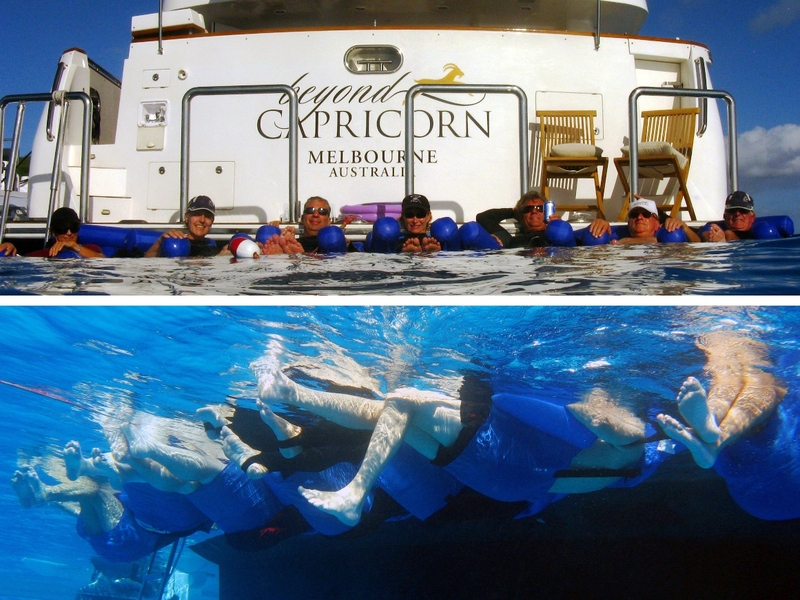 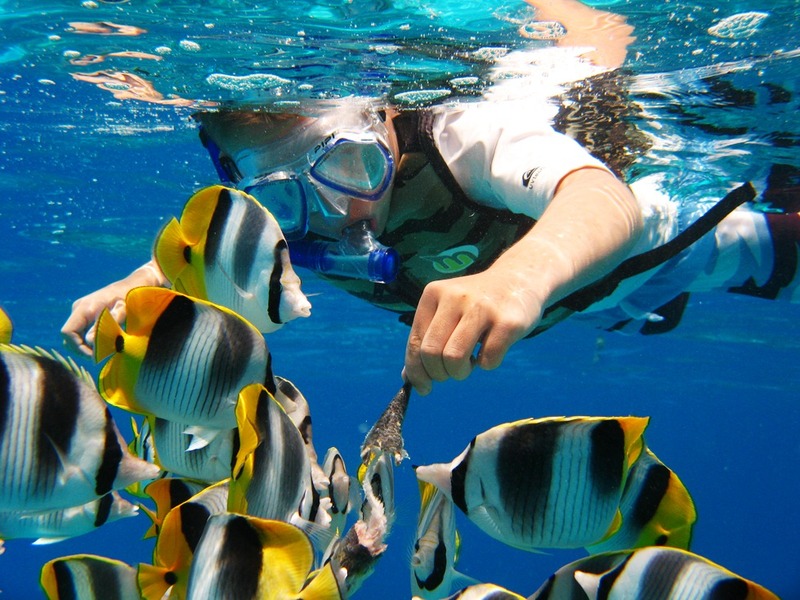 BEYOND CAPRICORN has three categories of staterooms. 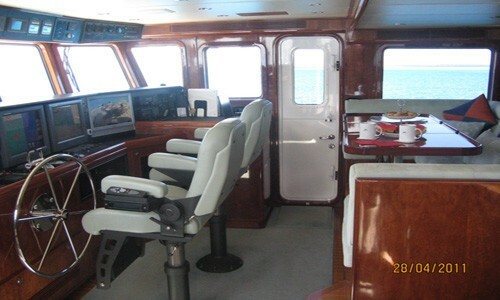 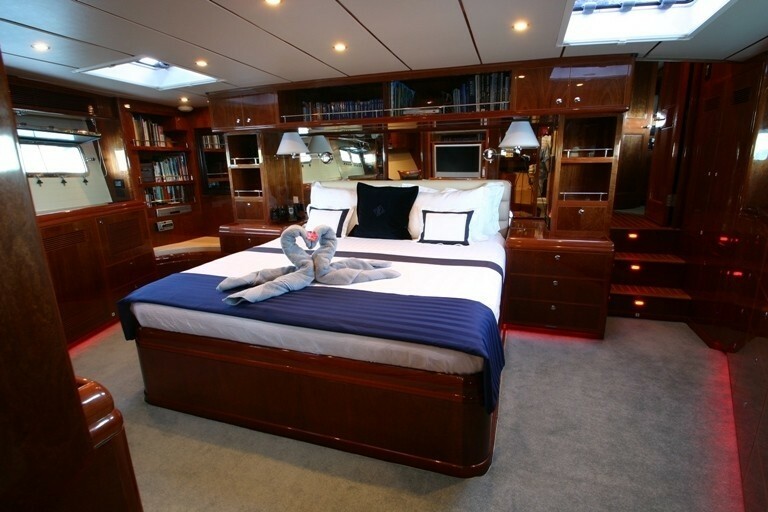 The very spacious Master Cabin spans the full width of the yacht and is located forward on main deck with a king size walk around bed and a double vanity bathroom including large shower with seating bench, office/study with desk, port holes on both sides of room and opening ceiling sky lights. 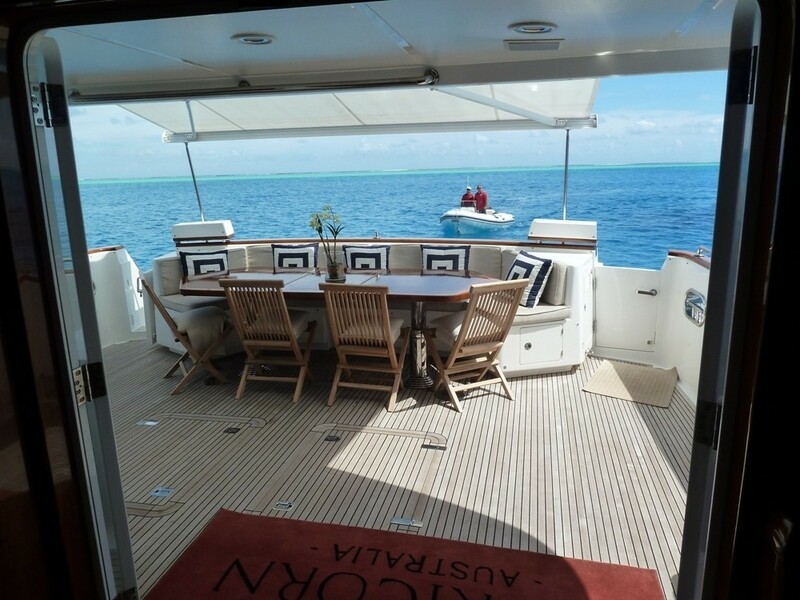 The Bathroom is large with double sink vanity, shower with seat, toilet & heated towel rail. The Double bed Cabin is located to the starboard side of lower deck with port holes beside bed and sky light above. 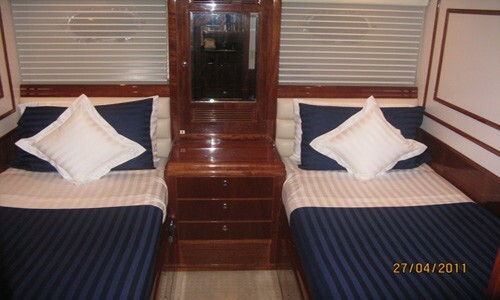 The Bathroom is smaller with single vanity, shower cubicle, toilet & heated towel rail. 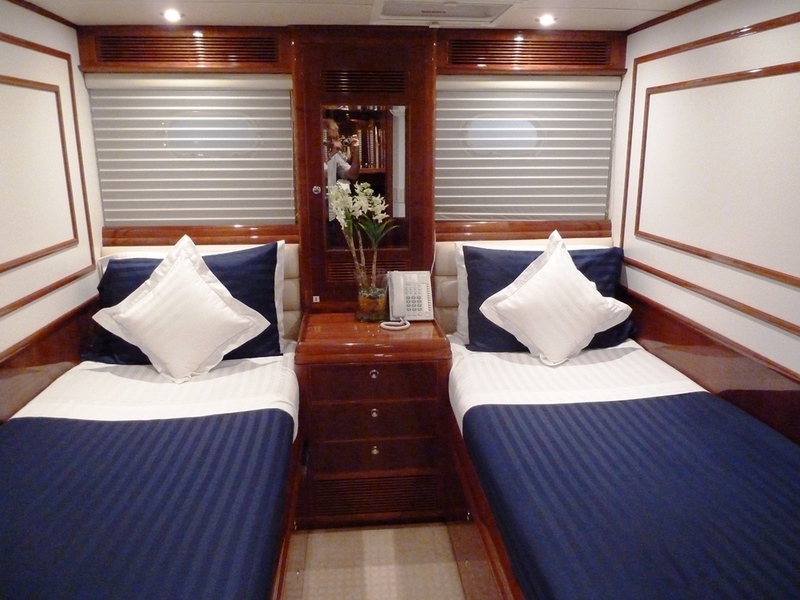 The Twin Bed Cabin to starboard with port holes above both twin beds as well as a sky light in the cabin. 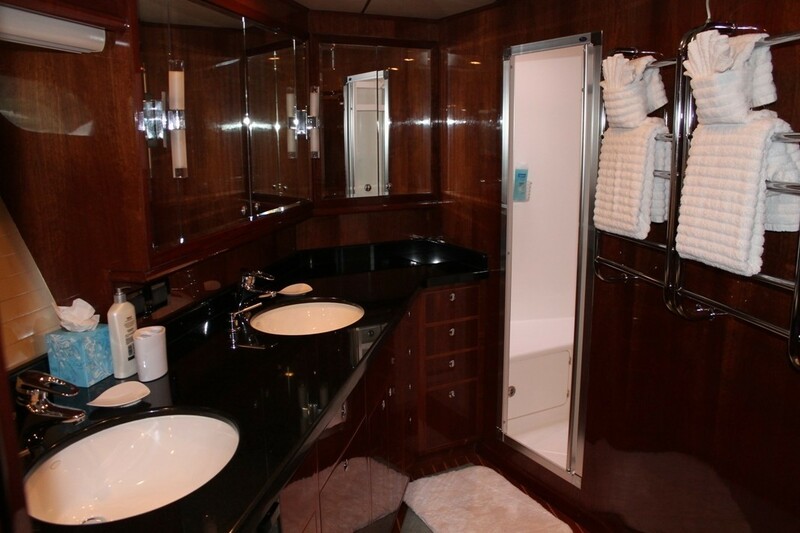 The bathroom for this cabin is separate across hall with single vanity, shower cubicle, toilet & heated towel rail. 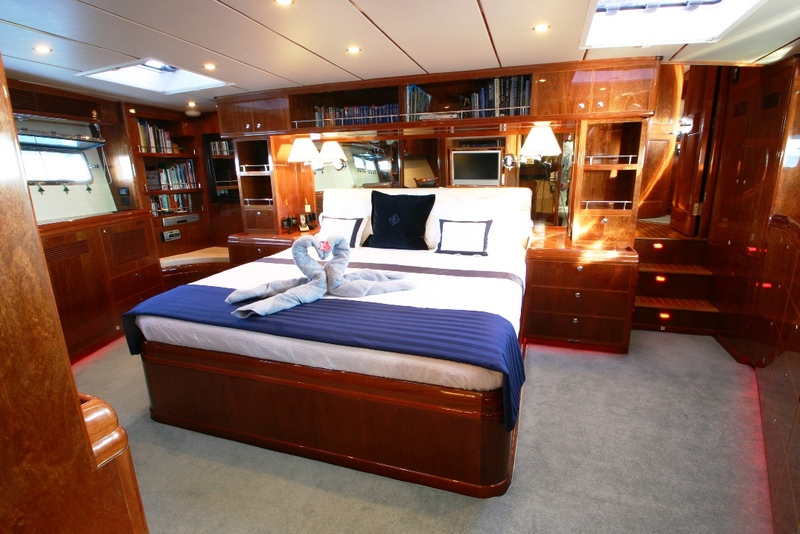 There is a small double or large single cabin in the in bow (forward) of lower deck with ensuite, shower separate from bathroom. 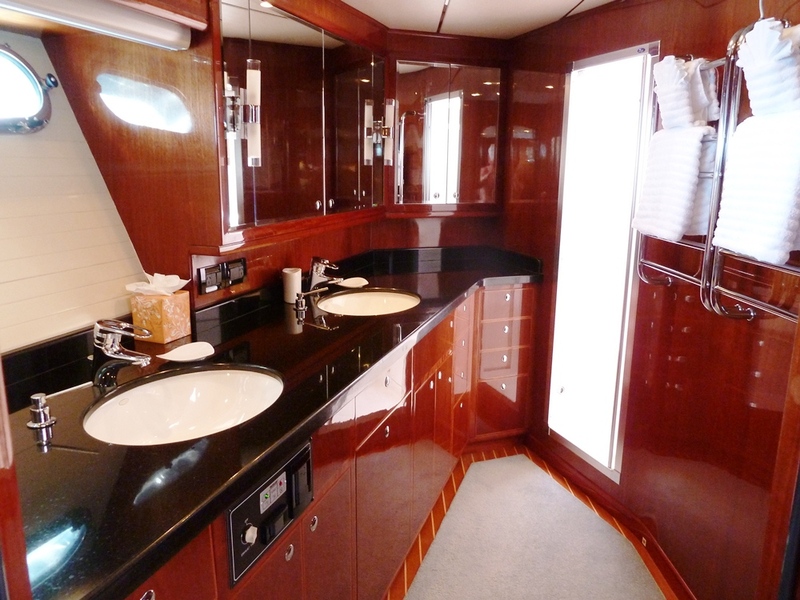 There are no port holes or skylight in this cabin Bathroom which is mid-size with single vanity, toilet, heated towel rail & separate shower (within cabin but separate to bathroom). 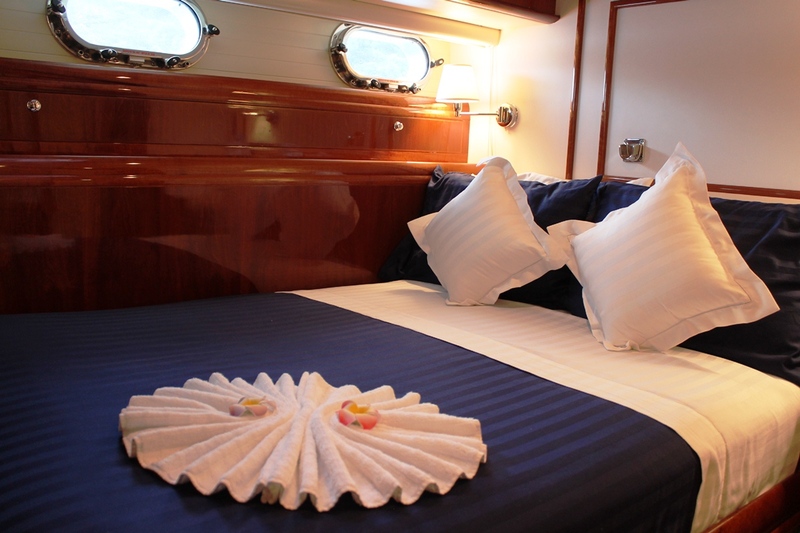 All staterooms aboard have 240 volt 3 pin Australian/New Zealand power sockets, temperature controlled air conditioning, individual bathrooms with fresh water toilets, air extraction & circulation fans, hairdryers & a range of toiletries are available for use in each bathroom. 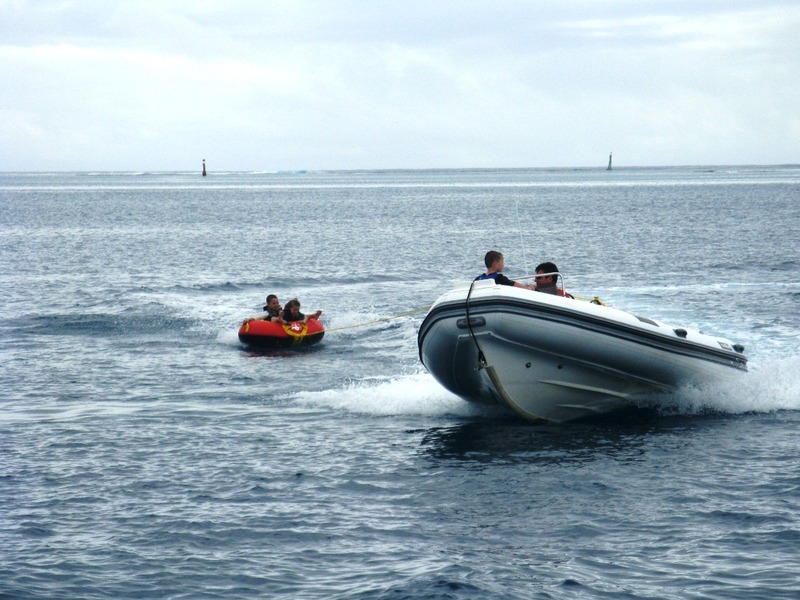 The BEYOND CAPRICORN yacht has a 17ft Caribe Tender with Yamaha 115hp, 14ft Caribe with Yamaha , Double Kayak, Scuba gear, Snorkeling Gear, Inflatable Tube, 4x Folding Bikes, Paddle boards.